This circuit uses a unique cascode Amplifier circuit to convert the current from a PIN photo diode to a current without any feedback network. It is very stable and very sensitive. 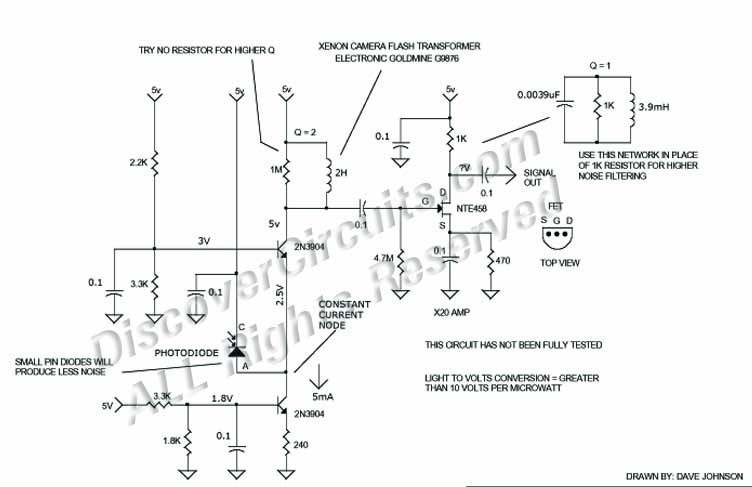 The circuit shown has the potential for a conversion factor of 10 volts per microwatt at 900nm. I included a simple JFET post-amplifier with a gain of about 20.